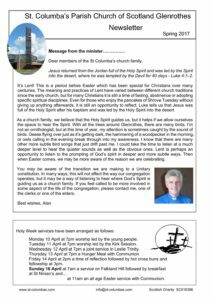 The St Columba’s newsletters are published four times a year and are distributed to members. Copies of the most recent Newsletter are also available in the vestibule or in the rack at the West Door. Click on these links to see copies of previous newsletters.